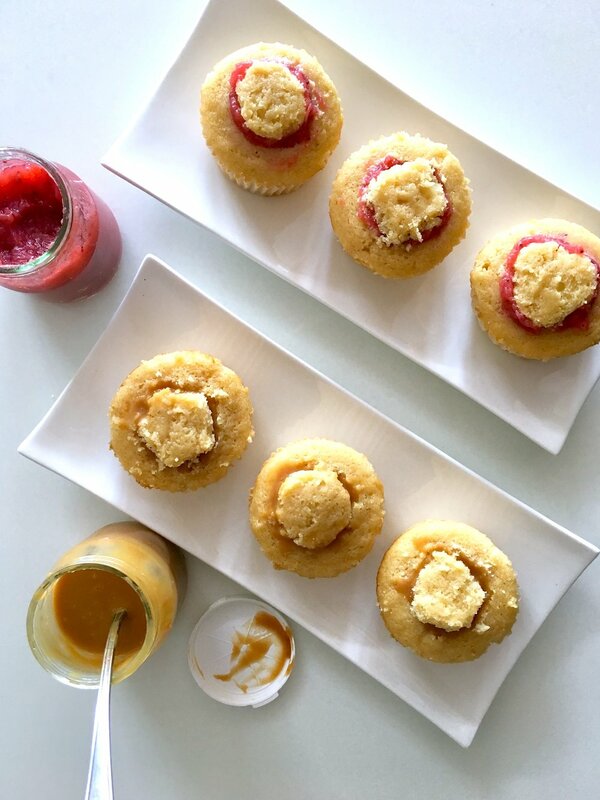 Everyone needs a good 'ol vanilla cupcake recipe, and this one is a tried and true favorite. It's the perfect blank canvas, making it super easy to customize based on what you're in the mood for! Whether it's with fillings (strawberry compote and salted caramel are both great), or toppings (I love nuts, chocolate, or sprinkles), the options are endless! Swiss meringue buttercream is the best frosting option, in my humble opinion. It's super pretty and glossy, less sickeningly sweet than traditional American buttercream, and holds up well at room temperature and even outdoors! You can also add flavor to the frosting if you want to mix things up, but the vanilla is a great classic that goes with many flavors. Whatever you end up with, you'll almost always be guaranteed a delicious treat! Now get to baking! Preheat oven to 350°F. Line a cupcake pan with liners, and spray them with nonstick spray. Mix together flour, baking powder, baking soda, and salt in a medium bowl. In the base of a stand mixer fit with whisk attachment, beat butter and sugar at medium speed until pale and fluffy, then beat in vanilla. Add eggs, beating well and scraping down the bowl to ensure they are fully incorporated. Reduce the speed to low, then mix in buttermilk until just combined. Don't be alarmed if the mixture looks curdled at this point. 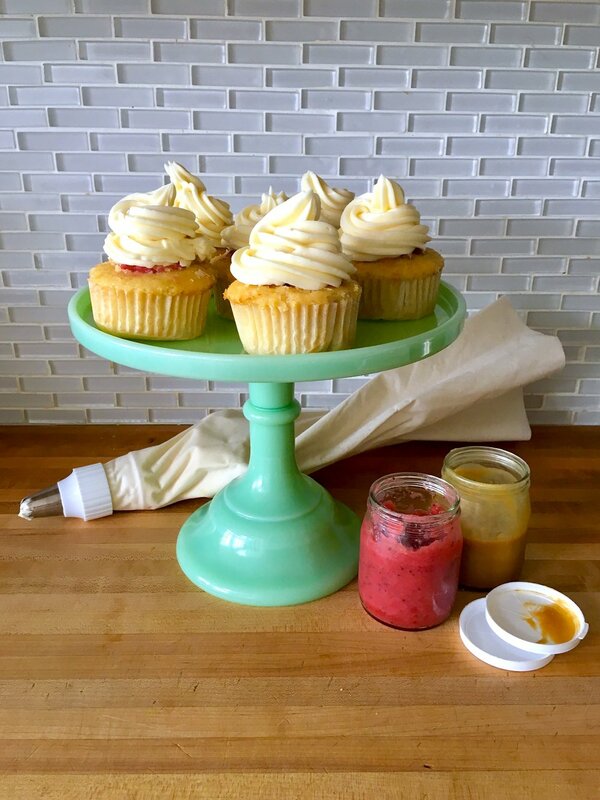 While cupcakes are baking, make the buttercream. Whisk egg whites and sugar together in a bowl over a double boiler until sugar is fully dissolved. Transfer mixture into the stand mixer (make sure it's clean & dry!) fit with paddle attachment and whip until it turns white glossy. Add the vanilla, then the butter and continue to whip until buttercream comes together. This may take a good 10-15 minutes, so don't worry if things look curdled or soupy at the start! 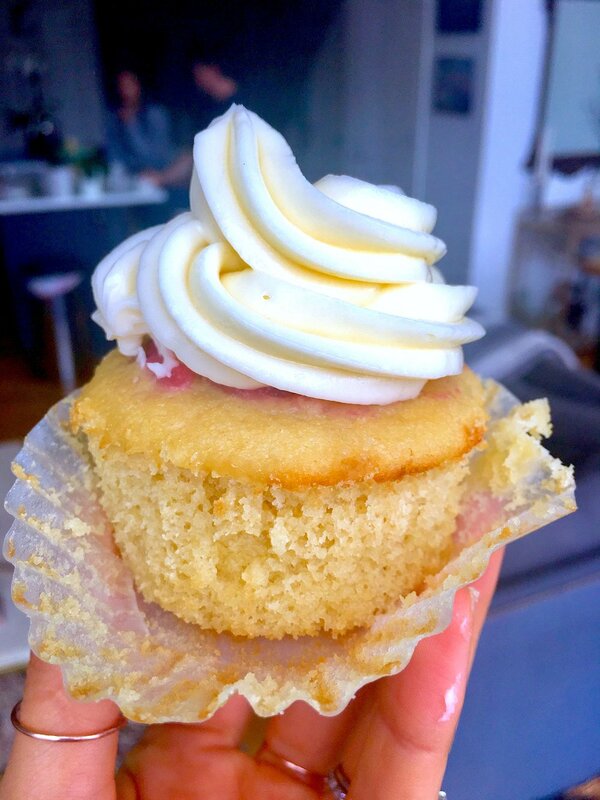 Once cupcakes have cooled, you may add filling if desired. Scoop out a small bit of cake from the top (using a knife or melon-baller), add the filling, and replace the cake on top. Pipe buttercream onto cupcakes using a pastry bag fit with an icing tip, and finish with toppings if you choose! Enjoy! *Adapted from Best Birthday Cake by Smitten Kitchen.